CLARENDON, TX. (THECOUNT) — Dalton O’Gorman has been identified as the Clarendon College student killed following an undisclosed incident on-campus Monday night. 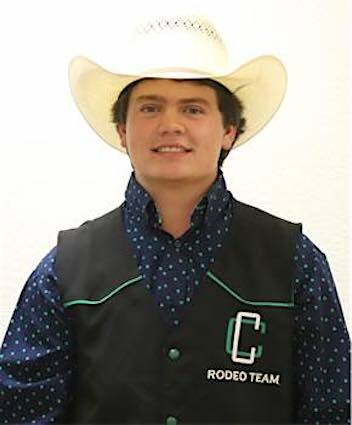 According to the college, O’Gorman, a sophomore from Shamrock, died in an incident at the Clarendon campus livestock and equine center, located at, 1122 College Drive, in Clarendon, TX. TRENDING: Jessica Simpson, 38, Shares Nearly Full-Term Pregnancy Pic On IG "Popping At The Seams!" The details of what led up to the fatal incident or a cause of death was not provided. The college is providing counseling services for students, faculty and staff, though the time and location of these services has yet to be announced, reports NewsChannel10. If any additional information is released on this incident we will update this page. Geo quick facts: Clarendon is a city in Donley County, Texas, United States. The population was 2,026 at the 2010 census. The county seat of Donley County, Clarendon is located on U.S. Highway 287 in the Texas Panhandle, 60 miles east of Amarillo – Wikipedia. Comment below and share this post on social media with family members and friends! “You Heard About It On TheCount!